Puerto Princesa, officially City of Puerto Princesa (Cuyonon: Siyudad i'ang Puerto Princesa; Hiligaynon: Dakbanwa sang Puerto Princesa; Filipino: Lungsod ng Puerto Princesa; Spanish: Ciudad de Puerto Princesa) and often referred to as Puerto Princesa City, is a city located in the western province of Palawan, and westernmost city in the Philippines. Though the seat of government and capital for the province, the city itself is one of 38 independent cities within the Philippines not controlled by the province in which it is geographically located and is therefore an independent area located within Palawan. As of 2015 census, Puerto Princesa had a population of 255,116 people, making it the least densely populated city in the Philippines. In terms of land area, the city is the second largest geographically after Davao City with an area of 2,381.02 square kilometres (919.32 sq mi). Puerto Princesa is the location of the Philippines' Western Command headquarters. 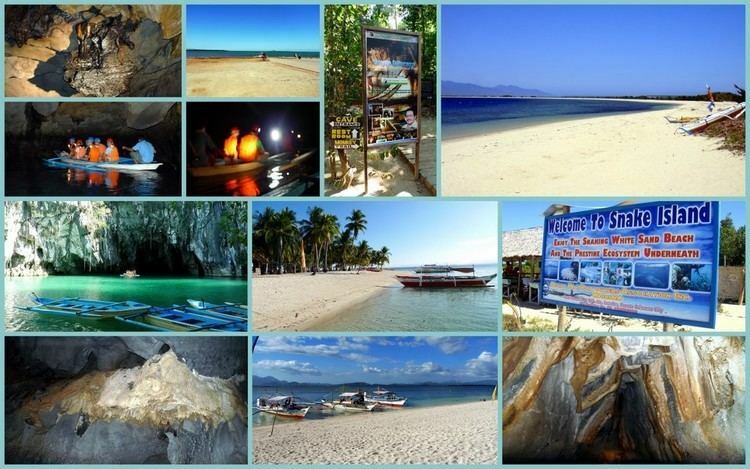 Today, Puerto Princesa is a popular tourist city with many beach resorts and seafood restaurants. It has been acclaimed several times as the cleanest and greenest city in the Philippines. Historically, the place was named after Maria Cristina, one of the princesses born to Isabella II of Spain and her consort, Francis, Duke of Cádiz. When the princess suffered an untimely death, the Queen changed the name to Puerto de la Princesa. Eventually, the name was shortened to Puerto Princesa. Spanish Colonizers founded the settlement on 4 March 1872 in the course of their exploration of the province. As they scanned the Palawan shoreline for a capital site, they came upon a hill with steep declivity. Rowing to shore, they surveyed the hill and discovered an extensive plateau which they decided as ideal for settlement. Soon after, Fr. Antonio Muro levelled a portion of the hill to make way for a chapel. (That section is now occupied by the Catholic Cathedral, the P.C. Barracks and the Rizal Park. The Old Municipal Building used to be there, as well as an Elementary School). The first mass celebrated in Puerto Princesa took place at a site where a marker now stands. In May 1872, the Port of Puerto Princesa became the center of Spanish Naval Operations in the area because the Bay met all the Navy’s requirements. Royal Decrees later provided incentives to settlers, and by 1883 the settlement had flourished into a town of twelve roads, a hospital and well-built port. In 1894, Puerto Princesa was recognized by government authorities as one of the most beautiful towns in the country by virtue of the orderly distribution of streets, buildings and houses as well as the cleanliness of the community. In 1911, the New American Administration made Puerto Princesa the seat of the Palawan Provincial Government with Major John Brown as Lieutenant Governor. In the year 1936, Governor Heginio Mendoza made a directive on the transfer of the Palawan High School (currently Palawan National School) from the island municipality of Cuyo to the central place of the province, which was the Municipality of Puerto Princesa. 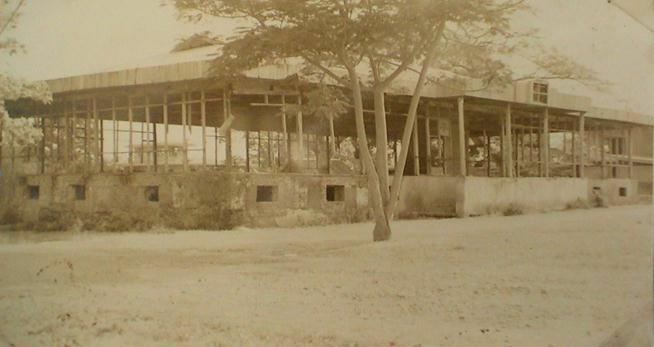 In 1951, the barrios of Tinitian, Caramay, Rizal, Del Pilar, Malcampo, Tumarbong, Taradungan, Ilian, and Capayas were separated to form the town of Roxas. In 1955, the sitios of Materingen, Tandayag, Nasedoc, and Panlawagan were separated from the barrio of Maroyogon and elevated into a barrio. In 1956, the sitios of Calagbenguen, Tarabanan, Bendoyan, Talabigan, Tagbuan, and Langogan were constituted into the barrio of Concepcion. In 1957, the barrio of Tapul was renamed to Salvacion. The town was converted into a city on 1 January 1970 under R.A. 5906 as amended by P.D. 437, through the effort of then Congressman Ramon Mitra, Jr. Feliberto R. Oliveros, Jr. became the first City Mayor. In May 2001, Abu Sayyaf gunmen entered the luxury Dos Palmas Resort in Honda Bay just off the coast of Puerto Princesa and kidnapped 20 people from the resort, including four resort staff and three Americans. Since its foundation, Puerto Princesa has been the nerve center of activities in Palawan. Aside from being the seat of public administration, it is the heart of trade, commerce, service, and industry in the province. Puerto Princesa is located in the midsection of Palawan Island. It is bound to the east by the Sulu Sea, to the west iby the South China Sea, to the north by the municipalities of San Vicente and Roxas, and to the south by the municipality of Aborlan. It is approximately 306 nautical miles (567 km) from the Philippine capital of Manila, 205 nautical miles (380 km) from Panay Island, and 250 nautical miles (460 km) from Zamboanga City on the southern Philippine island of Mindanao. 66 areas (or districts) known throughout the Philippines as barangays, 35 of which are classified as urban barangays and 31 as rural. Administratively and politically, Puerto Princesa is divided into 66 barangay or 1st to 2nd district s, 35 of which are classified as urban barangays and 31 as rural. Puerto Princesa features a tropical wet and dry climate (Köppen climate classification Aw). It is usually wet from May to December and with very little rain from January to April. Average temperature is 27.43 °C (81.37 °F) while the annual average rainfall is 1,563.8 millimetres (61.57 in) per year. It is warm and humid all year round. In the 2015 census, the population of Puerto Princesa was 255,116 people, with a density of 110 inhabitants per square kilometre or 280 inhabitants per square mile. Waves of migrants from other Philippine provinces, and even other countries, have turned Puerto Princesa into a melting pot of various cultures. Among the original inhabitants are the Cuyonons who have a rich legacy of folklore and traditions. Indigenous groups include the Tagbanwas, Palawanos, Molbogs and Bataks, each group with its distinct culture and system of beliefs. Total inhabitants number 255,116 (as of 2015), of which three-quarter of the population resides in the city proper, an urban settlement on the shores of Puerto Princesa Bay. Although the predominant language is Tagalog, Cuyonon is widely spoken and used throughout the whole city, as well as Hiligaynon, other Visayan languages, and English. Puerto Princesa is known as the Eco-Tourism Center of the Philippines. In recent years, the city has seen a remarkable increase in the number of tourists bringing with them trade and businesses for the city. Many hotels ranging from basic to five-star luxury accommodations have been developed since the 1990s to cater to a growing number of foreign and local tourists in the city. There are also a large selection of restaurants, bars and shopping malls, including the recently completed Robinsons Place Palawan, NCCC Mall Palawan and Unitop Mall Puerto Princesa, as well as the upcoming SM City Puerto Princesa. 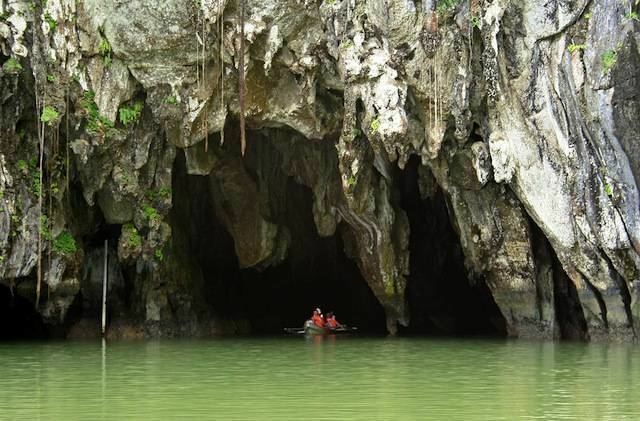 Most tourists come to Puerto Princesa to visit the Puerto Princesa Subterranean River National Park located 50 km north of the city. It was named one of the New7Wonders of Nature. The city is also the jump-off point for exploring the Tubbataha Reef. The Puerto Princesa International Airport is within the city proper. Puerto Princesa is accessible by direct flights to and from the major cities of the Philippines, such as Manila, Cebu, Davao, Iloilo & Clark, as well as other parts of Palawan, such as Cuyo, Busuanga and El Nido. The city is served by domestic passenger ferries to Cuyo, Manila, Coron and Iloilo at the Port of Puerto Princesa. The main modes of transport are via tricycles, jeepneys and vans-for-hire (or PUVs/public utility vehicles). Taxis started operating since April 2015, plying through the city center and nearby tourist destinations. Provincial buses and jeepneys operate from the San Jose terminal located 7 km north of the city center off the National Highway. Puerto Princesa then Mayor Edward S. Hagedorn unveiled the environment-friendly and economical electric-powered “Trikebayan” (which does not emit any noise or carbon monoxide) at the Kapihan sa Sulo forum, Sulo Hotel, Quezon City. The Trikebayan costs only P48 or $1.20 per day to operate, while a gasoline-powered tricycle operation would cost P200. Rolly Concepcion, who conceptualized the Trikebayan, said that converting a tricycle engine to electric costs P68,000. The rechargeable battery under the passenger seat can run for 12 hours. Mr. Conception died before the project was completed. This did not discourage the previous mayor Hagedorn from pursuing a dream of seeing all electric vehicles, especially replacing the gas tricycles in the city. There was a dealership for these trikes on the north highway but it closed down in 2011. Although Puerto Princesa has this bold plan for electric vehicles, the municipal government and tourist office has stated (when asked by a tourist in August 2011), that it has no published or announced plan for providing for the current and future needs and safety of pedestrians or bicycle riders. Spaces for walking and bicycling from one place to another are not being considered. Elected and appointed public officials have governed Puerto Princesa, with a strong mayor-council government. The city political government is composed of the mayor, vice mayor, ten councilors, one Sangguniang Kabataan (SK) Federation representative and an Association of Barangay Captains (ABC) representative. Each official is elected publicly to a three-year terms.